What does the ADA say about websites? The ADA does not specifically mention that websites or mobile applications need to be accessible. The interpretation of the ADA to require website compatibility has stemmed from section 36.303 of the ADA Title III regulations, which covers Auxiliary Aids. Web Content Accessibility Guidelines (WCAG) published by the Wide Web Consortium focus on how to make Web content more accessible to people with disabilities and are considered the international standard for accessibility. These guidelines have three levels: “A,” “AA,” and “AAA,” with “A” level guidelines being the easiest to follow, and “AAA” guidelines being more involved. In 2017, the federal government adopted the WCAG 2.0 standard and required federal agencies to have their websites comply by January 2018. While these standards are widely referred to, there are no guidelines saying that the Title III regulations require businesses to follow these particulary guidelines. Two recent appellate court decisions have found that the websites and mobile applications of places of public accommodation are subject to the ADA and must be accessible to people with disabilities. In July of 2018, in Haynes v. Dunkin Donuts LLC, the Eleventh Circuit ruled that restaurant websites were covered by the ADA and needed to be accessible to disabled patrons. In that case, a blind plaintiff sued Dunkin’ Donuts in Florida, claiming that the company violated Title III of the ADA by not maintaining a website compatible with screen reading software. Because the website was not compatible with his screen reader, the plaintiff could not search for store locations or purchase a gift card through the website. The district court originally dismissed the case, finding that the website and the physical locations were not sufficiently connected. However, the appeals court Eleventh Circuit panel reversed the lower court in a unanimous 3-0 opinion. The Court held “the website is a service that facilitates the use of Dunkin’ Donuts shops which are places of public accommodation. And the ADA is clear that whatever goods and services Dunkin’ Donuts offers as a part of its place of public accommodation, it cannot discriminate against people on the basis of a disability, even if those goods and services are intangible.” The Eleventh Circuit did not publish this opinion, meaning that other courts have some flexibility to come up with a different outcome. The court sent back the case for further proceedings to a lower court and did not decide what regulations Dunkin’ Donuts would have to follow. Following that decision, some members of congress wrote to the DOJ requesting that the agency provide clarity and guidelines for how websites should comply with the ADA. However, the DOJ declined to do so and instead stated that the absence of a specific regulation was not a legitimate basis for noncompliance with the ADA. It also stated that businesses had flexibility in how to comply. On January 15, 2019, in Robles v. Domino’s Pizza, LLC, judges on the Ninth Circuit found that Domino’s website and mobile app were subject to the ADA because the restaurant was a place of public accommodation. The Court found that the website and app connected customers to the goods and services of Domino’s physical restaurants and was therefore required to comply with the ADA. Domino’s argued in that case that it did not have fair notice of an obligation to comply with the WCAG. It also argued that the DOJ had primary jurisdiction to regulate the ADA. The Court rejected both arguments and remanded back the case to a lower court for further proceedings. The district court will now decide what standards Domino’s needs to comply with. What Steps Can You Take to Comply with WCAG Guidelines? The WCAG features four broad categories to make sure that the website is perceivable, operable, understandable, and robust. The list below includes some examples from each category, but is not exhaustive. When designing your restaurant’s website and mobile app, speak with your developer about complying with the WCAG. Text Alternatives for Relevant Images: include text explaining any relevant, non-decorative content. Make sure that the text is coded so that it can be converted into braille, speech, or enlarged text. Colors: ensure that colors have enough contrast. Color should not be the only way to convey information or prompting the user. Subtitles for Pre-Recorded Video: include captions for pre-recorded video content, and make sure that any prompts using sound can also be followed using text. Flashing Content: Web pages must not contain anything that flashes more than 3 times per second. It’s advisable to avoid flashing content to be sensitive to users with epilepsy or who may otherwise be susceptible to seizures. Input Assistance: assist users if an input error is detected on something they submit on the website or app. Compatibility with Assistive Technologies: Making websites as compatible as possible with screen readers and other assistive technologies. A wave of additional ADA website compliance litigation against restaurants and other places of public accommodation is on the horizon. Even if your restaurant’s website and mobile app complies with some of the WCAG 2.0 guidelines, the lack of regulations leave some uncertainty as to how the compliance requirements will be interpreted. When you are designing or redesigning your restaurant’s website and/or mobile app, it is worth considering a technical audit to see which WCAG areas your website is lacking. Note that a revised version of the WCAG (version 2.1) has been proposed but has not been adopted by any U.S. government agencies. 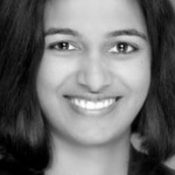 Pooja S. Nair is a food and beverage lawyer and litigation member at TroyGould PC in Los Angeles, where she is a member of the firm’s food and beverage practice.She is experienced in complex commercial disputes, internal investigations, whistleblower issues, complicated eDiscovery collection and production issues, and governmental investigations.